Martin was released from remand! WELCOME HOME!!! 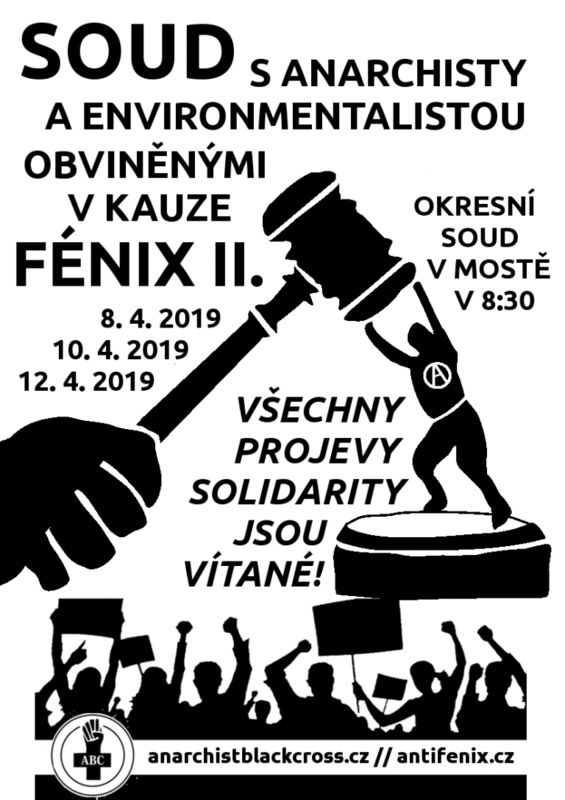 The supreme court denied the confidential file written by former criminal police chief about his sister as an anarchist organizer and criminal element whom the court deciding about Martin awaiting trial outside of remand should not trust. Therefore the court had to decide to “free” Martin. The struggle is not over at all. In contrary it is in its beginning and Fenix 5 (people being charged of a conspiracy of preparation a terrorist attack against the train with military equipment – prepared by two undercover/infiltrated state agents) will face another series of court hearings on October 3rd to 6th. Trial Update – Also read this on actforfree. On August 10th Martin will celebrate his already 2nd Birthday behind the bars. You can greet him by making noise behind the wall, sending a letter or any other way you like. Below, there is Martin’s address and bank connection. On several profiles, blogs and web pages we saw that our comrade – 100% trusted person and friend LUKAS BORL is accused of being a collaborator with Nazis and giving information to cops. Also someone started FAKE Facebook profile under Lukas’ name. All of this is a COMPLETE LIE! These fake messages are probably spread by cops or entrepreneur Vladimir Krulec. Krulec is for longer time in conflict with local anarchist movement because he and his company is not paying the wages to workers and he’s been angry because of sabotages which have been done on his property. Lukas Borl has been living in underground for several months because he is officially wanted. The website of Czech police says that he is dangerous and armed. We would like to ask for any financial help possible. First we though that we will be able to do it ourselves and also we were already supported from some groups from other countries, but now it seems to be harder then we expected. If you would like to donate/do a benefit event, please let us know. Every amount of money is valuable for us..